for infants to school age children. Why Choose Willowbrae Academy North York? Willowbrae has partnered with Hal Johnson & Joanne McLeod, of BodyBreak to develop BodyBreak KID FIT - a healthy-living initiative designed to educate children and parents about the importance of daily physical activity, rest & sleep, healthy food choices, and other positive lifestyle habits. SEEDS represents everything we do to ensure delivery of high quality education in a safe and nurturing environment. Dietitian-designed snacks and lunches are prepared on site following Canada’s Food Guide and are prepared from scratch using only the freshest ingredients. Braeview is our exclusive on-line communication tool for parents and staff with extensive features including daily email reports sent to parents, a secure access area, functionality on mobile device. Parents can feel reassured that their children are safe, as only authorized personnel can enter the premises via our biometric access control with fingerprint scanning. All classrooms and playgrounds are equipped with secure Liveview High Definition cameras which enables parents to view their child throughout the day in real time. I can't find the words to thank Rachel and the rest of the teachers and support staff for taking care of my boy so well, he really loved going to school every day and I know he'll miss Rachel soo much. you guys are amazing!!" This was my son's first day care when we were in Scarborough before moving. Above all we loved the staff there. My son had a great time and loved going there. The facility has a camera which is very convenient. We were quite sad to leave the place but had no option. All the best for Willowbrae ! Academies designed by professionals with a focus on children's needs. At Willowbrae Childcare Academy in Brampton, we realize the importance of providing a safe, secure environment for children. Our Academies are committed to putting each child’s well-being foremost. We offer a safe-haven for children and the peace of mind for parents knowing their children are safe. 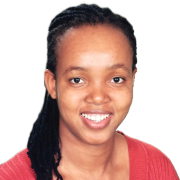 Georgele has been involved in Early Childhood Education for over 10 years. She holds a Diploma in Early Childhood Education with honours from Durham College. She later pursued further studies in the Early Childhood Education – Resource Consulting program at Seneca College and received a Resource Consultant Certificate with High Honours. Georgele has been involved with and chaired a number of committees throughout her career, including Diversity and Parent -Teacher Committees. She was a Vice Principal for an Early Years School and has received awards for Teacher of the Year, Family Partnership, Diversity and Excellence in Care and Education. Georgele believes that each child can learn and that each child must. She respects every family’s individuality and strives to deliver a family-centered service with openness and flexibility to accommodate diversity in family beliefs, values, and functioning styles. She believes all staff members have strengths, and they benefit from support and encouragement. Everyone has different but equally valued skills, abilities, and knowledge; and should have the opportunity to be fully included within their communities. She believes that partnership between staff and parents is the ultimate way a daycare can be successful in helping a child reach his or her full potential. We are hiring Early Childhood Educators to create another great Willowbrae Academy. While the focus is still largely on their primary care, toddlers begin to take their first steps towards greater independence. We promote their development through play and natural exploration of their surroundings. We begin to lay the basis for positive social interaction and support their positive relationships with peers. We focus on using our words, being gentle with our friends, sharing, and turn taking. Infancy is a wondrous period of growth and exploration. Our infant programs focus on building meaningful relationships with our families, built on trust, care and attention. By recognizing and acknowledging the needs of each individual child, infants feel secure and safe in their environment and thus creates a strong foundation to support the rapidly developing social, emotional and physical needs of infants while they explore the world around them. 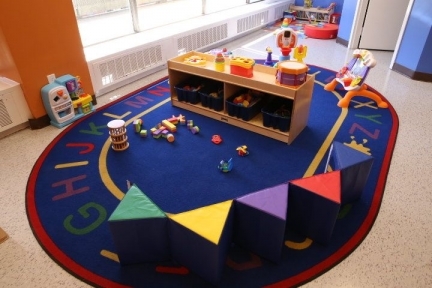 Pre-school rooms are equipped with age and developmentally appropriate learning materials and activities reflect the interests of the group and are often child directed. We encourage and promote positive social interaction and develop the many tools necessary to ensure a positive transition to “big” school and a lifelong love of learning. 1. 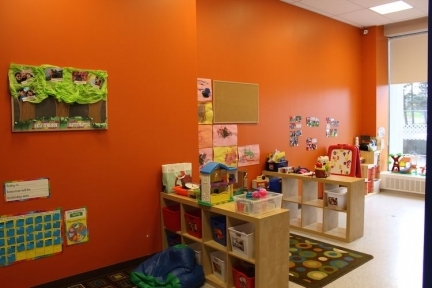 What are the age groups you offer at Willowbrae Childcare North York? 2. Is the Childcare staff required to have an Early Childhood Education diploma? Yes, as a licensed daycare we are following the government regulations regards to staff ratios and qualifications. Infant ratios are 1 to 3. 3. Do you accept child care subsidies? No, at this time we are not able to accept the subsidies. Yes, there is a 125$ one time registration fee to hold your spot. 5. Are there restrictions of who may pick up my child? Yes. You are required to list the individuals who are allowed to pick up your child on your Willowbrae Academy® registration forms. If someone who does not typically pick up your child is coming let the Academy know in the morning or call when possible. They will be required to show picture ID. 6. How often do the children play outside? At Willowbrae Childcare North York we encourage outdoor active free play. Children will have a minimum of 2 hours per day outside. We also have indoor GYM for rainy day activities. 7. Do parents have to pay fees for days that their child does not attend due to illness or vacation? Yes, fees are paid during all absences; once a space is confirmed, it is payable whether the child attends or not. 8. What is your policy regarding sick children? We do our best to be supportive of the working parent and at the same time, operate within the health standard guidelines mandated by Toronto Public Health. If a child is feeling somewhat under the weather but is able to function within the program we will allow them to remain. Communicable illnesses, other than colds, require exclusions which are determined by Toronto Public Health. We will administer medications such as antibiotics providing proper procedures are followed. 9. Can I set-up a tour to see the child care center? Yes. A site visit will be set up if the possibility of a space exists. Random\walk-in visits will not be conducted if there is no space availability as this would be very disruptive to the children in our care. 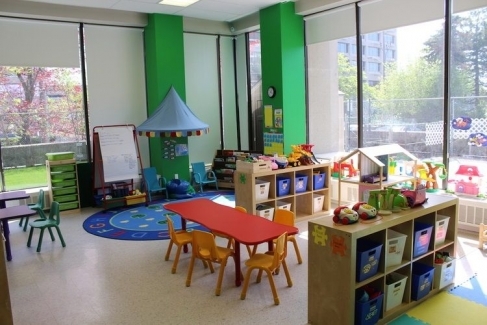 Affordable and quality North York childcare. Our child care academy delivers superior educational programs and resources.